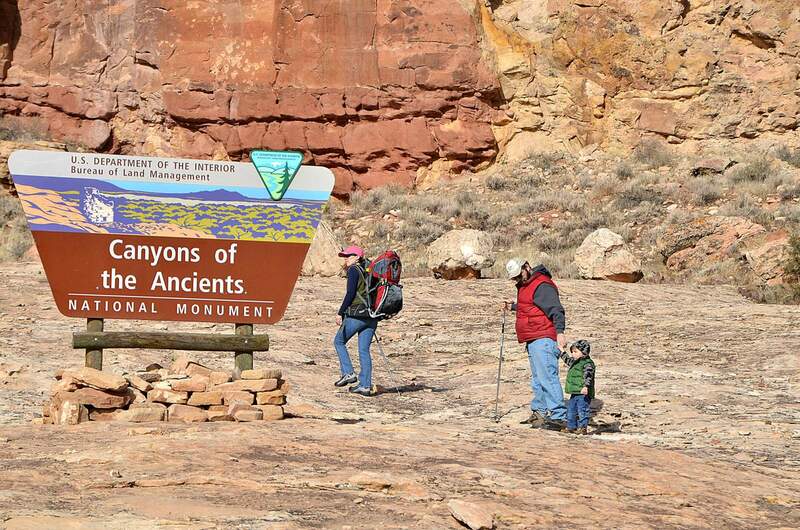 A hiker reported missing Monday afternoon in the Sand Canyon area of Canyons of the Ancients National Monument was located and reported to be OK.
A missing hiker was rescued after getting lost in a snowstorm in the Sand Canyon area Monday afternoon, said Montezuma County Sheriff Steve Nowlin. Deputies with the Sheriff’s Mounted Patrol division found Ron Holm, 63, of Scottsdale, Arizona, huddled near a ruin about 2 miles from the trailhead about 5:15 p.m.
“It was a successful search. The guy was totally lost and getting hypothermic,” Nowlin said. Holm was able to ride out with deputies on horseback, and was checked out by EMS personnel at the trailhead. The search started about 3:30 p.m. when Holm’s two hiking companions reported him missing after failing to find him. He had gotten separated from his group in whiteout conditions, Nowlin said. Mounted Patrol Deputies Yvonne McClellan and Donnie Brown found the missing hiker after searching for more than an hour. They followed boot prints that matched a description given by his companions and spotted him. Montezuma County Sheriff, Montezuma County Search and Rescue, Cortez Fire Protection District, and Southwest Health System EMS all responded to the incident. Rescuers staged at the Sand Canyon Trailhead and parking lot on County Road G.